High quality hand painted kitchens & furniture! 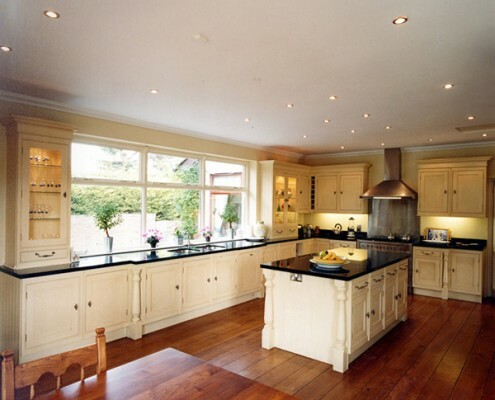 At kitchenpainters.ie we specialize at producing high quality, hand painted kitchen cabinets. 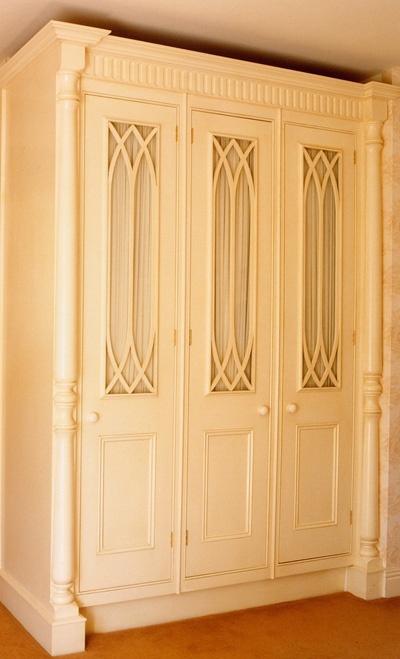 Theres also the option of spray painting your kitchen cabinets if this is what you would prefer. Painting your wooden kitchen cabinets will transform the kitchen and also at a fraction of the cost of a new kitchen (which might need to be painted anyway!). Maybe your kitchen was painted in the past and you would like to change the colour. Whatever your kitchen painting needs Get in touch to find out more. If you would like to paint fitted furniture or free standing furniture that’s a little worse for wear, then having it hand painted is probably the best thing you can do for it. There are thousands of options with colour, you can turn your hand painted furniture into a feature or tone it down by using complimentary colours. There’s lots of options. Get in touch to find out more. We are delighted to offer the exceptional services of interior designer & colour consultant Sharon Fitzgerald of Colorworxs paints & Papers. Sharon has a passion for painting and is not only a skilled colour consultant but also a highly skilled painter too. Initially the client outlines their requirements and preferences in functionality, style and budget and emails 3 high quality Pictures of the area to be painted e.g. Kitchen cabinets, bedroom wardrobes etc. Sharon will then send by return a color schedule tailored to the clients preferences as outlined in the initial email. Costs start from €59.